Budweiser is extending its Christmas partnership with Uber to offer a free ride home on Christmas Eve to both new and existing users of the app. 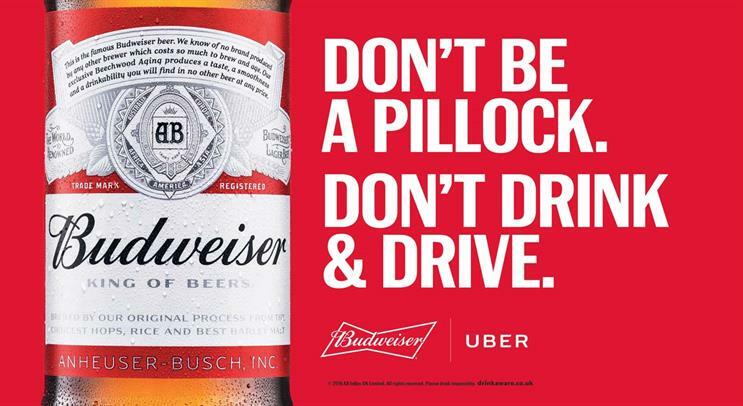 The Anheuser-Busch InBev brand teamed up with Uber earlier this month in its latest campaign to discourage drink driving. It has been offering free rides worth up to £15 throughout December, but only to new Uber users. Between 4pm and midnight on 24 December, though, anyone will be able to take advantage of the discount. Steph Okell, marketing manager, Budweiser UK, said: "We’ve run a lot of responsible drinking campaigns in the past, but for 2016 we wanted to take our commitments to the next level with an initiative of epic proportions that would really have an impact." Uber ran a similar campaign in December 2014 with Diageo whisky brand Johnnie Walker, offering 250,000km of free rides worldwide. Earlier this year, it also teamed up with Pernod Ricard vodka brand Absolut for a competition to win a holiday by private jet. In October 2015, it worked with Pepsi Max to give out free rides in DeLoreans to mark "Back to the Future Day" - the date to which Doc and Marty travel in Back to the Future Part II.